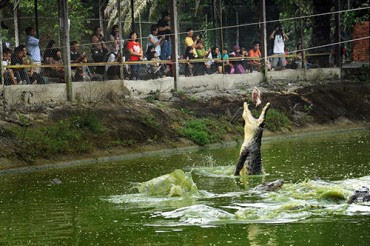 Set amidst the charming backdrop of tall tropical trees, lush vegetation and local fruit trees lies this unique farm with over a thousand crocodiles bred in captivity. 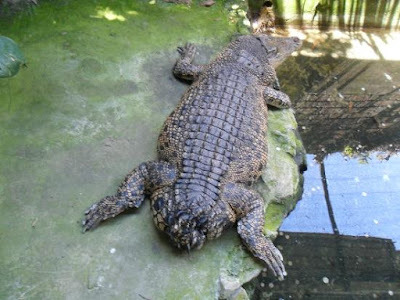 The farm provides a perfect sanctuary for the reptiles, saving the species from extinction. 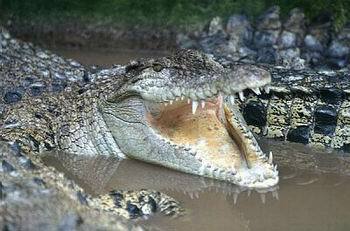 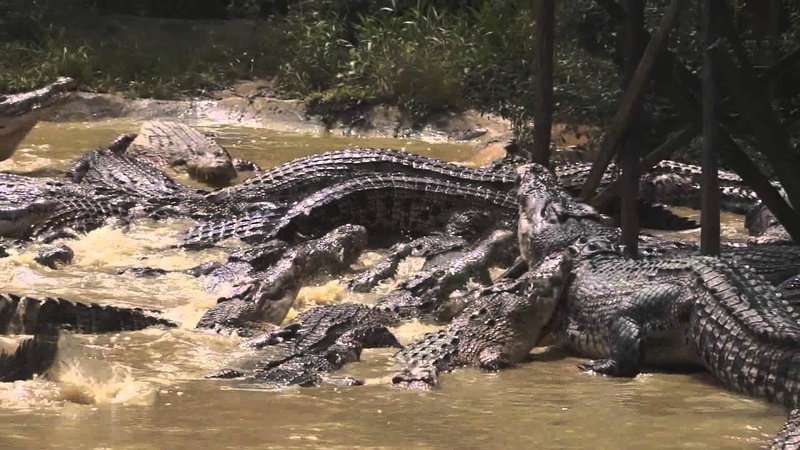 There are huge and deep concrete ponds and natural breeding grounds for the crocodiles to mate and multiply. Visitors are able to gaze at the snapping jaws, cold menacing eyes, sharp pointed teeth and powerful lashing tails of the crocs within short distance yet safe because of the metal fence. 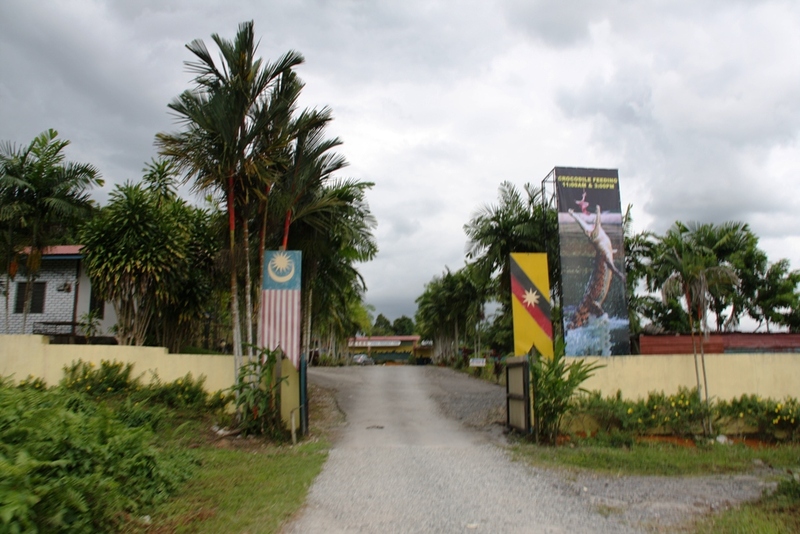 Apart from crocodiles there are also numerous rare species of birds and animals found only in the Borneo Island. 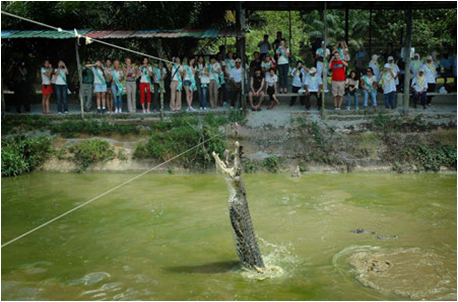 Visitors can have the enchanting experience of walking freely among the monkeys, leopard-cats, sun bears, bearcats, pheasants, civets, barking dears, sandbar dears, turtles, fruit bats, monitor lizards, pythons and even hornbills’. Reservations Can Be Made In Advance.